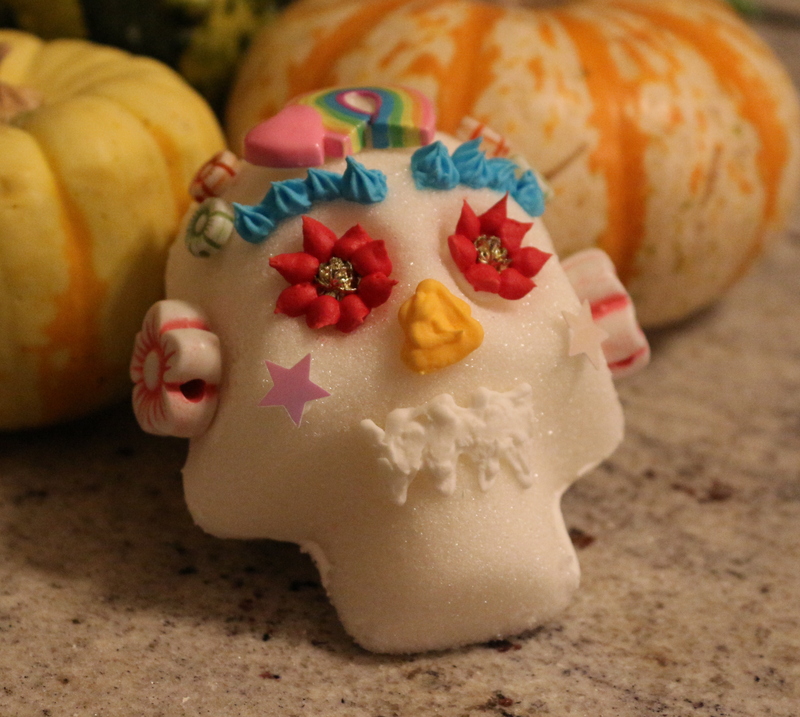 It is almost time for Dia de los Muertos! 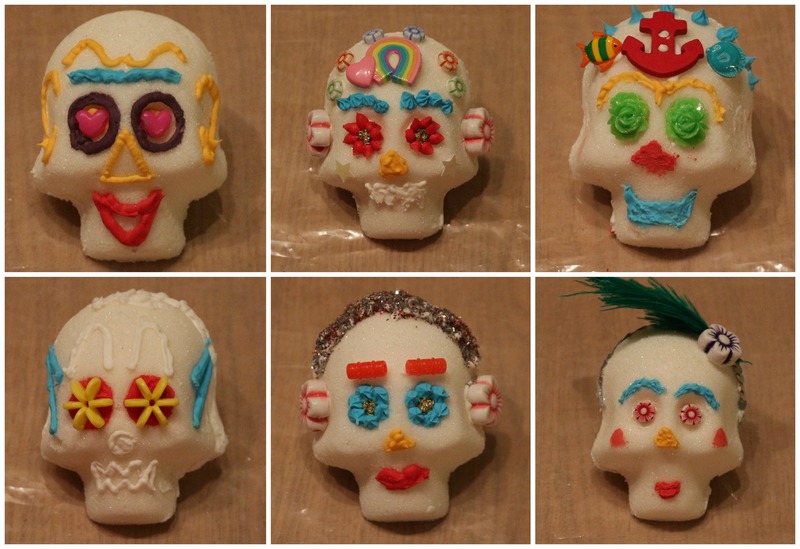 My friend Brian and I had been talking a while ago about all the different traditions around it, and we looked at all the fabulous pictures of sugar skulls online and he said how much he wanted to have a go at making them. Then I saw a mould to make them for sale…. It had to be done. The mould I used was this one, but purchased from a shop in Santa Cruz. The mix is fairly easy, just sugar, meringue powder, and a little bit of water, mixed together to make a kind of wet sand, which is then packed into the plastic moulds, turned out, left to dry, then stuck together with royal icing. Mr M had the knack. To decorate, we used a few different colours of icing, along with a load of random bits and pieces of beads and sequins etc. I knew there was a reason I kept all these things around! We did have a few issues, for example, in the future I will stick the backs and fronts together ahead of time, as one of them started to slip a little bit askew. Also, a little note to self: if you have thrown away all your reusable piping bags, you must replace them! I had to make some bags out of paper, and I lack Mumsy’s knack with these things! Must buy plenty of disposable bags next year!